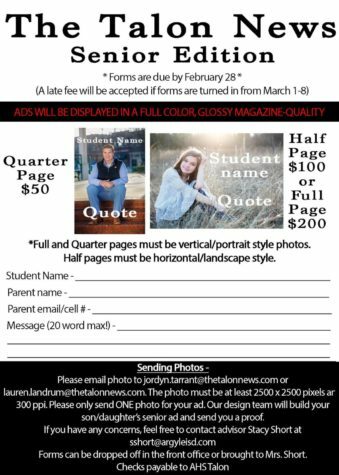 Businesses may advertise in the print (and online) edition of the newspaper. 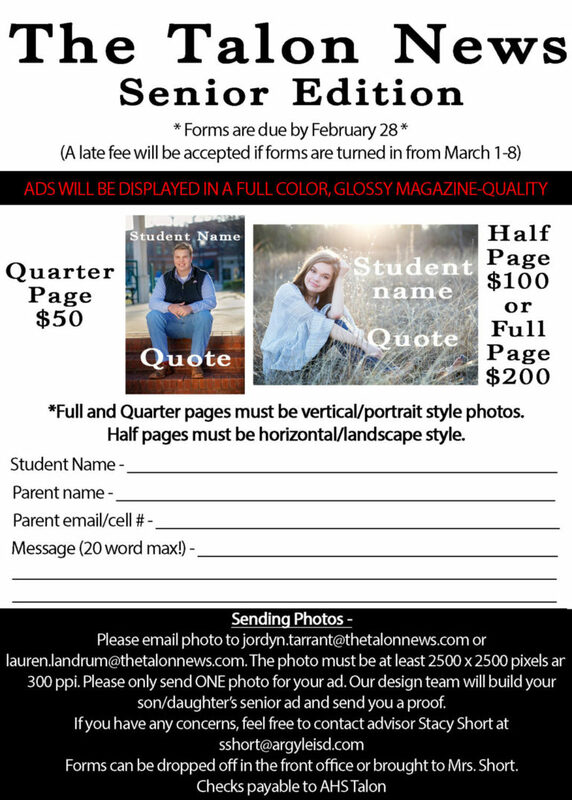 The advertiser agrees to purchase ad space in The Talon online media. All ads must be pre-paid prior to publishing. Businesses will need to send camera ready artwork to [email protected] or [email protected] prior to the deadline. 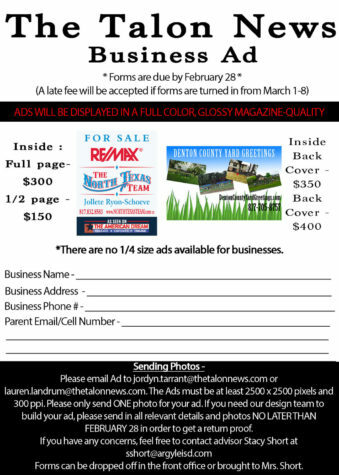 If ad copy is not received by the deadline, a generic ad will be created to fill the space, which will include business name and phone number. No refunds will be made due to missing a deadline. By purchasing ad space, you agree to these terms. 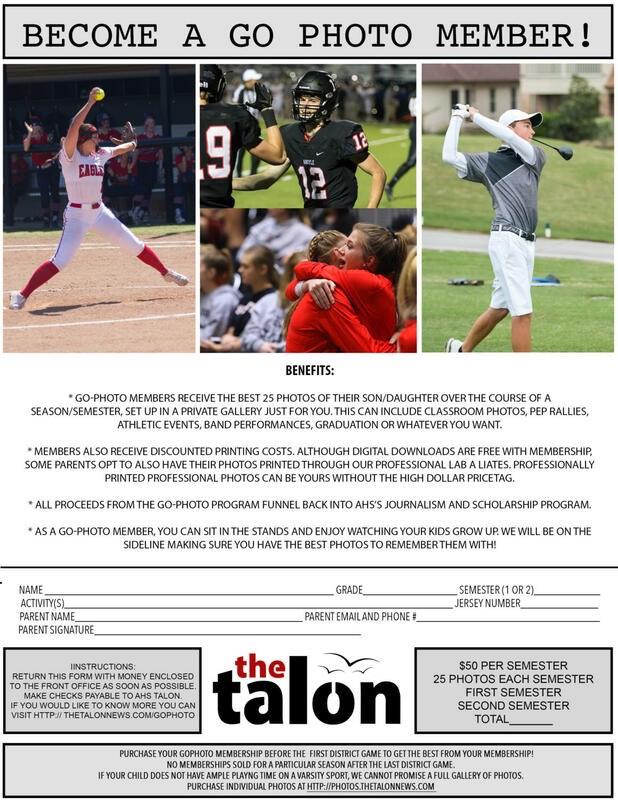 If you are interested in advertising online or in our senior edition in May, contact our Editor-In-Chief or our Office Manager and we can discuss the details.